Stephen K. Levine is Paul Celan Chair of Philosophy and Poietics in the Arts, Health and Society Division of the European Graduate School EGS. He is also Dean of the Doctoral Program in Expressive Arts. His early training was in Eastern thought, particularly Buddhism and Taoism, at the University of Pennsylvania. He went on to a rigorous education in Western philosophy at the Graduate Faculty of the New School for Social Research in New York, where he studied with Hans Jonas and Aron Gurwitsch in particular, themselves students of Martin Heidegger and Edmund Husserl respectively, the founders of phenomenological philosophy. Levine’s dissertation, on Heidegger’s philosophy of art, received the New School dissertation prize in 1967. He later completed a second doctorate in Anthropology at the New School under the supervision of Stanley Diamond, with a thesis on Rousseau’s dialectical anthropology. 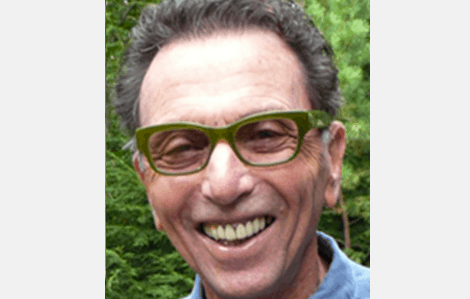 In the 1970’s, Stephen K. Levine underwent a five-year training in psychotherapy at the Toronto Institute of Human Resources, where he subsequently became a Supervising Consultant and then Training Director. In 1985-86, he was a Post-Doctoral Fellow in Expressive Therapy at Lesley University, where he studied and later collaborated with Paolo J. Knill, Shaun McNiff, Elizabeth McKim and others. Upon returning to Toronto, he founded, with Ellen G. Levine, International School for Interdisciplinary Studies Canada, a three-year training program in Expressive Arts Therapy, now entering its twentieth year of operation. Stephen K. Levine’s academic appointments began at Duquesne University, a center for phenomenological research, in 1967. In 1971, he became a Professor in the interdisciplinary Social Science and Social and Political Thought Departments at York University in Toronto, from which he retired as Professor Emeritus in 2004. He was a founding faculty member of the European Graduate School (EGS) in 1996, where he has continued to direct the doctoral program in Expressive Arts and to supervise students in their doctoral research.